The daily challenges and strategic opportunities served up by his commercial law clients, along with the satisfaction of securing them successful outcomes, are the drivers behind Thomas Bevitt’s career. 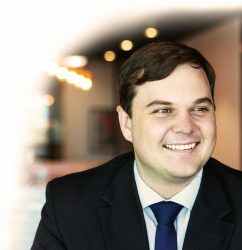 After five years working at a specialist Intellectual Property (IP) firm, Thomas joined Redchip to connect with the firm’s strong IP legacy and expand his commercial expertise. He now enjoys working closely alongside his clients on all facets of their businesses. "I have had a number of matters with Redchip over time which have resulted in positive outcomes. The Redchip staff have been approachable and eager to help whenever required." Thomas works with his SME clients to develop and implement strategies for IP and asset protection, as well as resolving disputes, drafting business agreements and policies, completing application and registration processes and advising on a broad spectrum of IP and commercial matters. Like your typical Queenslander, Thomas enjoys anything pertaining to sports and the beach. He even combined these passions by volunteering for many years as a surf lifesaver. I provide straightforward resolutions to complex matters and commercially effective advice.